Santiago based Muvix plans a three theater deal with MediaMation, Inc. beginning in 2018. Santiago, Chile (October 26, 2017) – Muvix, a sister company of Cine Star, announces plans to open three MX4D Motion EFX Theatres beginning June, 2018. The first location will be at the “La Fabrica Patio Outlet” in San Joaquín, Región Metropolitana. The locations will utilize MediaMation, Inc’s (MMI) dynamic MX4D Motion EFX seats and will be a featured part of Muvix’s seven cinemas planned for that region. The silent, air-driven, pneumatic system offers a cinematic experience that immerses moviegoers into the film’s environment. Moving beyond standard 3D, the seats include a full range of motion and effects. Special In-theatre atmospheric effects include wind, fog, strobing and special effects lighting. The Martínez family (Syem Group), has been working for more than 30 years in the film industry under the brand “Cine Star”. They will launch their new brand called “Muvix” in 2018, which will allow them to compete side by side with the most important multinationals in the market. A powerful expansion plan involves a strong investment for the next few years and contemplates the construction of new complexes in Chile and Latin America, being Peru the first market to approach. This will allow the Martinez family to become a leading player in the industry. For over 25 years, MediaMation, Inc. has provided innovative technological solutions to the Cinema and Themed Entertainment market and has expanded to the ESports industry in 2017. 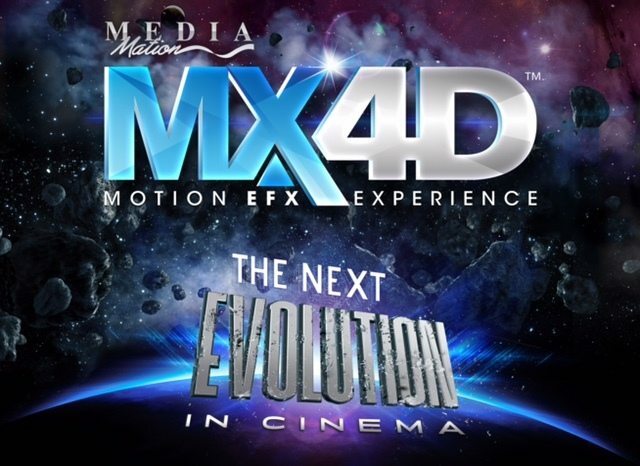 MediaMation is an interactive technology company and a worldwide, leading supplier and manufacturer of patented technology for 4D/5D Motion EFX theaters and seats, including its MX4D Motion EFX technology, with over 200 installations worldwide. MediaMation also designs and implements turnkey creative solutions for complex shows, rides, exhibits, fountain shows, etc. for theme parks, zoos, aquariums, museums, cinemas and FECs. For more information, visit www.MX-4D.com, follow @MediaMationMX4D on Twitter or MediaMation, Inc. on LinkedIn. Hong Kong City Wowed With New MX4D Theatre!Hong Kong City Wowed With New MX4D Theatre!